I remember that long family car ride from New York to Texas. I shared the cramped backseat with my older sister who was a stickler for not crossing the center line. If a toe even rested near the imaginary line she would donkey kick me back to my side of the car. No electronics invited in the 80’s, we relied on the written word for entertainment. I ended up filling every page of my coloring books before we crossed the NY state line. It was a long drive to Texas. My tech savvy boys do not appreciate a good game of license plate poker. Or the long dead game of “I’m going on a picnic and bringing …” alphabet memory fun. My boys know iPads, kindles, and portable DVD players. I think all of these inventions are brilliant. They can turn a twenty hour car trip into a quick 8 movie marathon. Sure we have fewer nagging questions “are we there yet”, but we have also cultivated instant gratification and glazed over entertainment zombies. Bathroom humor, from tv shows, fills the car as I beat my head against the window to theme songs. My husband and I have made a new effort to utilize the time in the confined car space to enhance our family vacations. Audiobooks or reading aloud in the car offers great family bonding opportunities to inspire creativity and adventure. Our favorite vacations all have a book title intertwined. We once read Journey to the Center of the Earth right before we headed down into the deep Luray Caverns in Virginia. An adventure to Boston, Massachusetts followed Who Was Paul Revere and What Was the Boston Tea Party. Our proud eleven-year-old acted as tour guide pointing out the important buildings we had just read all about. What fun to ride the midnight train from Salt Lake City, UT to Reno, NV. The children pretended they were on the Hogwart’s Express. Not sure which great book to read on your next family vacation? 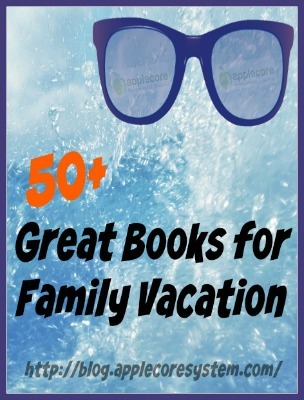 Here are over 50 classics compiled into themed vacation categories: animal, water, western, historical, European, basic adventure, and biographies. Learning about the people who impacted an area is definitely a great opportunity to have more respect and appreciation for it. Stop by the library and grab a few of these younger fun series! Most classics have an abridged version, I highly recommend starting with those first. You will have fewer vocabulary lessons in the middle of a story. 1. If you are not a reading together type of family yet – pitch it to your children first. Let them know you want to share a favorite adventure with them and you will be having some “story time”. Discuss what you expect and then pick a book together. Be sure everyone unplugs (that includes the adults too)!! 2. Recognize when it is time to stop. If your children are absolutely not interested do not speed read a chapter just to get it done. Some pages are overwhelmingly descriptive (The Hobbit) you need a stopping point before the chapter officially ends. I used to be ridiculously offended my boys were not eager to hang on every single spoken word. Do not take it personally. 3. Do make it a habit by practicing a bit of reading together every day. This will take some time to build a great habit of easy listening. If you do not feel like reading a monster of a book pick up the audio version and listen together. 4. Do not plan on reading for an entire 21-hour drive. I don’t even want to hear my voice for that long! Set aside the movies and toys for a bit, but do not trash them completely. 5. Not driving this vacation? Read together before bed, in the airport, or during some outside down time. 6. Enjoy the journey. This is something fun to do with your family not another grueling task to add to the vacation itinerary. Some days I would be so flustered to get the reading time in and feel stressed I had a squirmy little one distracting me. I learned to pass off the book to my husband and enjoy listening for a bit myself. Older children make for great narrators too! Looking for more great reads? Follow our Pinterest Board: Reading. 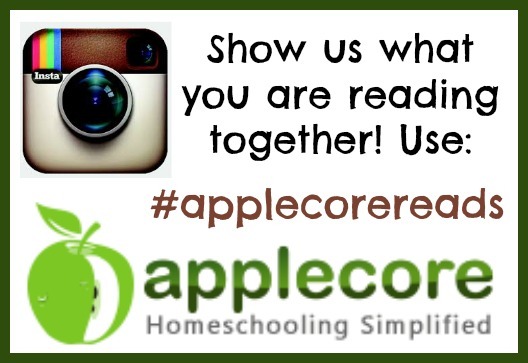 Keeping track of your child’s homeschool work for you!